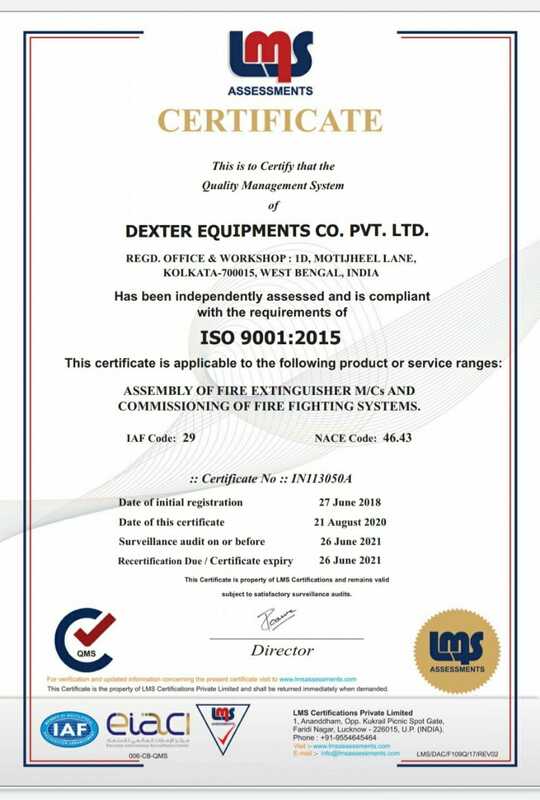 Dexter Equipments Company Private Limited, is an 'ISO 9001 : 2008' certified company. Registered in 1997, the Company has developed the concept of 'Fire Protection Systems' with the ambition to offer our clients a single window solution to all Fire Fighting Solutions. 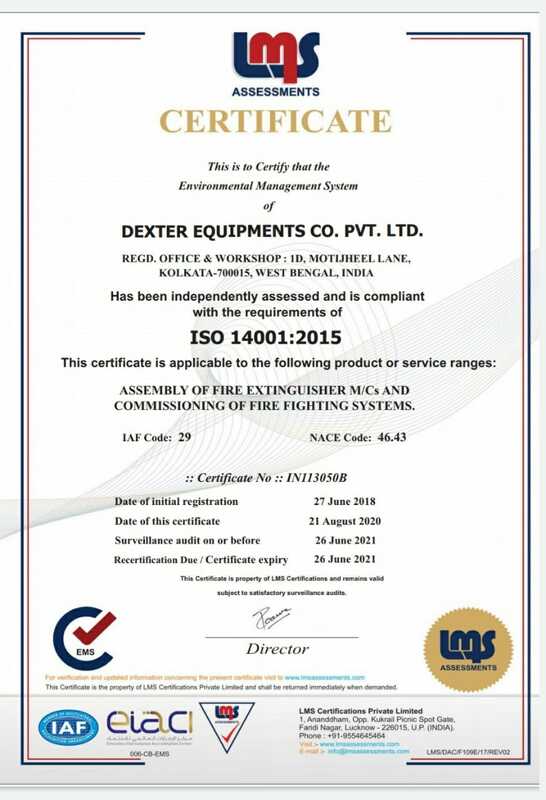 We excel in providing a State-of-the-Art FIRE PROTECTION SYSTEMS to our clients through innovative and latest fire fighting devices and make them self sufficient to tackle Fire Hazards in domestic households, commercial complexes, hotels, hospitals, nursing homes, educational institutions, factories and industries. The company is engaged in expanding its services under the able management of Mr. Kajal Sinha, Mechanical Engineer, who possess more than 15 years experience in the field of 'Fire Protection Management' and 'Facility Management Services'. We provide services to our clients through our highly qualified and dedicated team of professionals, which includes consultants, engineers, architects, fabricators and contractors. Backed by such an experienced and motivated work force, we excel in constantly working towards maximising our clients' satisfaction. Experience being our main strength, we offer you our best services with a touch of professionalism.